The idea of marriage is so romantic and exciting that most couples forget the reality of what lies ahead of them. The wonderful proposal, the engagement party, the dream wedding and a destination honeymoon - all of these exalt the happy couple and they look forward to their 'Happily ever after'. But when the real life hits them, they realize that married life is not a bed of roses. The monotony of the daily life and the responsibilities of having a family of your own is something that no couple prepares for. Under such circumstances, it is only normal that the relationship slowly loses its luster. A couple needs to realize that it is these little troubles, burdens, chores and responsibilities that complete life. They need to embrace it and accept it as a unit. 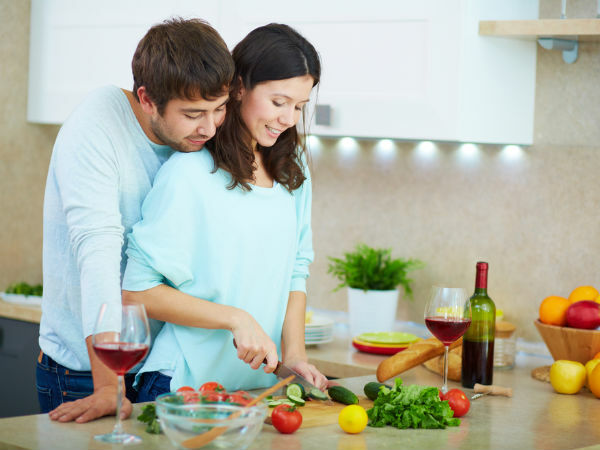 As a wife, there are a few things you can do to help your husband feel much happier. If you see that your husband is unhappy with his life, there are things that you may have to avoid and things that you must do to make him not have a bad mood. Today, we shall look at some things that can make your husband unhappy and what you can do about it. You Load Him Up With Chores And Duties As Soon As He Enters The Door It is understandable that you are just as tired and frustrated with the chores and the responsibilities of life. You may have to deal with kids, the household responsibilities and may also have stress at work. But you don't have to load these up on your husband as soon as he reaches home. You will have a much happier husband if you let him relax for a while, show him some love and then ask him to do the chores. Doing so will also make your husband more willing to do his chores and duties. You Expect Him To Make Plans For Something Romantic Every Time Spending time away from the routine life is very important to help you keep your love life alive. It feels amazing when your husband does all the planning for the time when you're away. But you should remember that your husband deserves all the pampering too. So, next time, you do the planning and surprise him. You Keep The Conversation Limited To Your Kids & Other Routine Things Kids and the other responsibilities of a married life are very important and it is just as important that husband and wife talk about it. But when it is all you can talk about, your husband may slowly become wary of it. So, talk about your relationship and try bringing some romance into the conversation at least when you both are alone. You Don’t Let Him Know When You Need Help As the woman of the house, you may be comfortable making the decisions around the home. Your man too may let you do it out of respect. Also Read: 8 Habits Of Highly Ineffective Husbands But if you need help and he doesn't offer it, you may get infuriated. This disturbs the harmony of the house. If he doesn't know that you need help, how is he going to offer it to you? So, let him know when you need his assistance for the sake of both of your sanity. Acknowledge His Feelings Too Men are seen as strong and the ones that lend a shoulder to the woman to lay her head on. When emotionally drained, your husband will hold you and console you. You can share things that are sensitive with him and have emotional support in return. But when your husband goes through emotional distress, you dismiss it as you take your husband to be the strong one. You believe that he can deal with it. But that is not the case. Men need the same amount of emotional support as women do. If you want your husband to be happy, you need to offer him that emotional support and consider his feelings too.